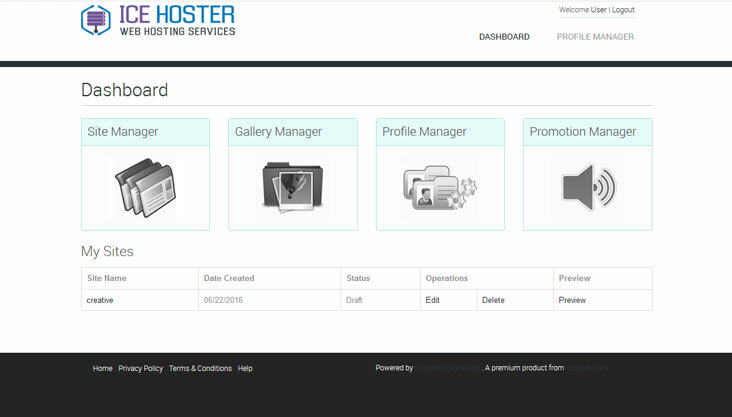 iScripts AutoHoster is a feature rich software for efficient management of your existing web hosting business or brand new web hosting business. You can create a turnkey web hosting business or domain registration business using iScripts AutoHoster. Supports unlimited accounts, domains and servers. Integrated web Site Builder (iScripts EasyCreate) with professional lay outs at no extra cost included. Integrated helpdesk (SupportPRO SupportDesk) for efficient customer support at no extra cost included. Integrated dynamic help module for complete help management. Supports monthly, quarterly, annual recurring billing and one time billing. 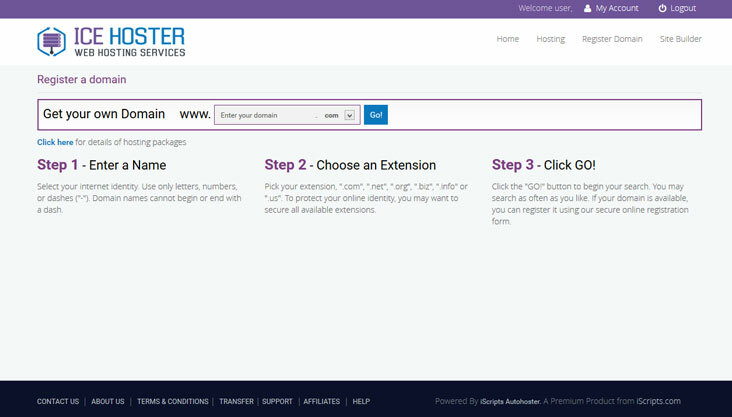 Supports additional services like web design, programming etc..
Easy to use domain name management panel for end users. Easy to install and set up with install wizard. 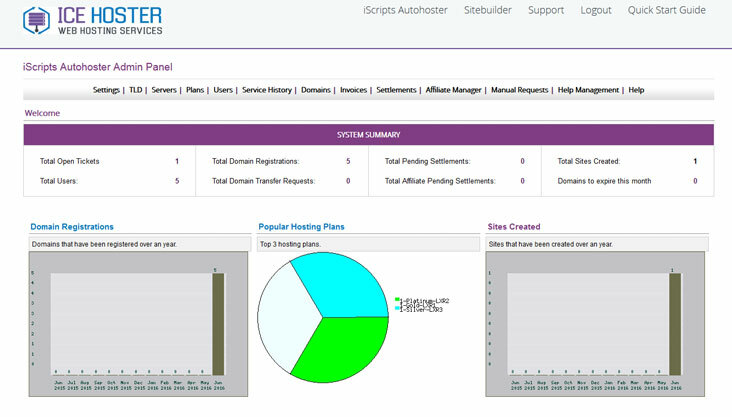 Powerful admin panel to manage all aspects of your hosting business from one place. 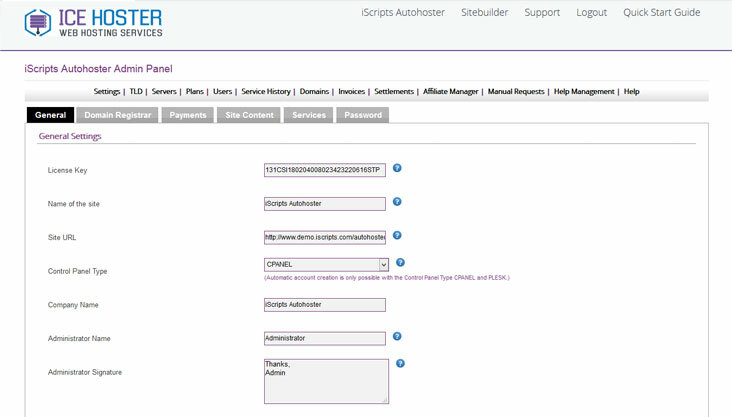 Supports different payment gateways like authorize.net, paypal, your pay, Pay Leap, 2Checkout etc,.. 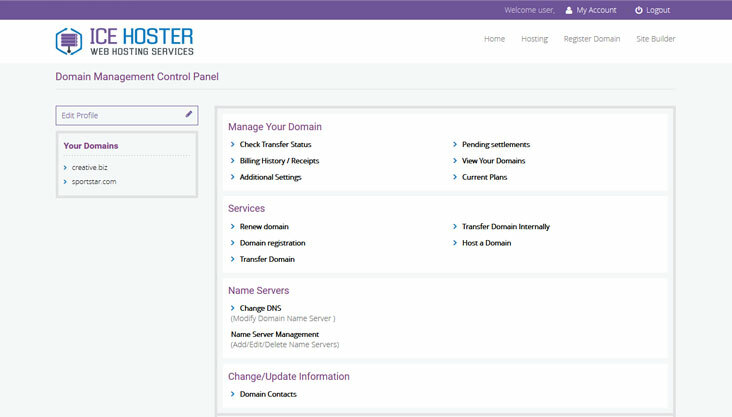 Supports Manual domain management option to site administrator for choosing any desired domain registrars. Fraud prevention using minfraud for credit card payments. Supports real-time domain name registration and transfer using Enom and Directi API. Multiple style sheets to integrate with your site existing design. 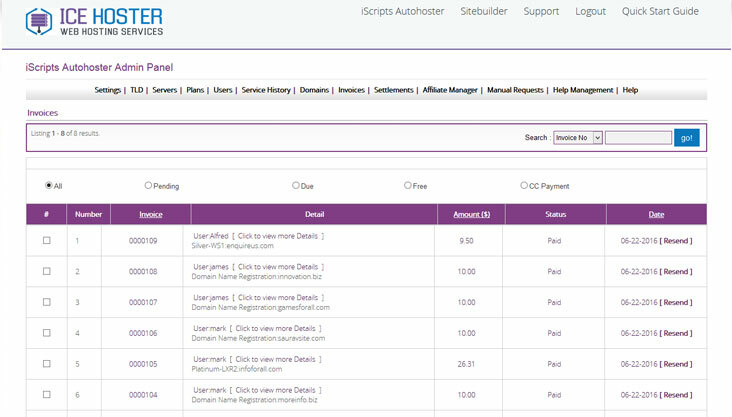 Automated hosting account creation using CPANEL & Parallels PLESK to put the business on autopilot.